Are You Getting The Best Quote? We’re happy to announce the addition of a new quotes comparison section which should be a very handy tool for arbitrage purposes and quote comparison, showing you unique and vital information unavailable anywhere else! 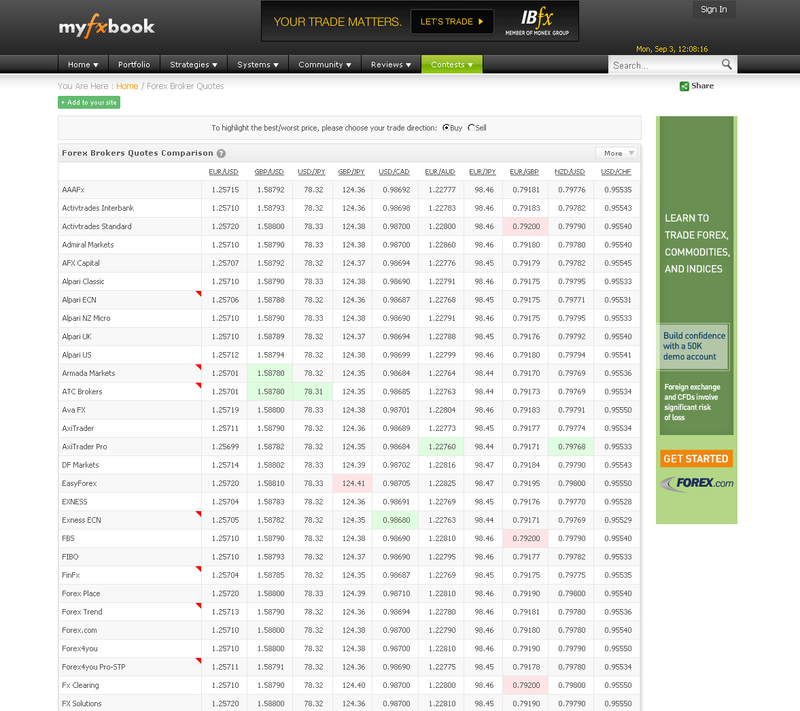 The section covers all of the brokers covered in the spread section (over 70 brokers) and shows a real-time quote table, highlighting the best/worst quote in real-time! Clicking on a specific broker will reveal a bar chart updating in real-time the difference in pips from other quotations. As with the spreads, the data is collected from over 10,000 real accounts, in real-time. The new section already contains a widget which you can use in your blog/website. Let us know what you think and if you have comments/suggestions on the new section. Posted in Myfxbook Updates | Comments Off on Are You Getting The Best Quote? 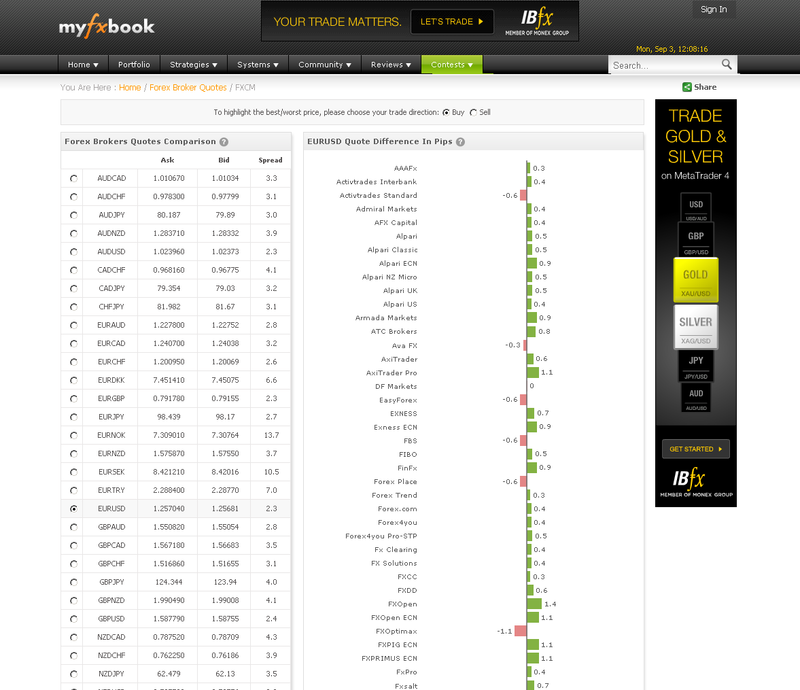 You are currently browsing the The Myfxbook Blog blog archives for September, 2012.